From Condie to King House, the University of Montevallo houses a plethora of ghost stories. While normally passed down to students and faculty through word of mouth, one mother’s interest was piqued when visiting her daughter on campus. A native of Kentucky, Shelly Miller moved to Madison to raise her family. She said she ended up falling in love with Montevallo’s small town Southern charm during her trips here. “With small towns, you never know what you’re going to get, but with Montevallo, you get it all—lions and crooks and ghosts, oh my,” she told the Madison Record. 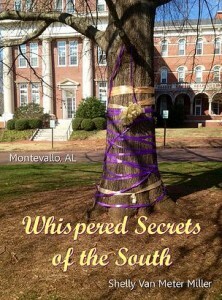 Her visits inspired “Whispered Secrets of the South: Montevallo, Alabama,” her version of the locally famous tall tales. She admitted to writing a lot of the stories on the picnic table outside of King House. 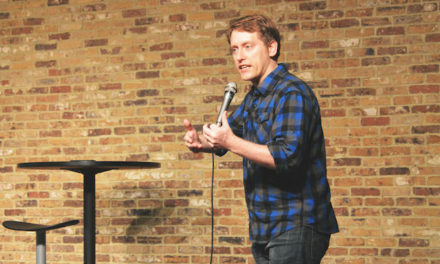 Instead of serving as a collection of UM’s stories, Miller’s book is historical fiction. Miller says she chose the genre because of its combination of facts with familiarity. “If I made the stories fiction, I could tell much more than I could if I had merely given a historical account,” Miller stated. “People might forget facts along the way, but they usually remember stories.” she added. Her character, Jean Michelle, is brought back in time to the 1950s and experiences all of Montevallo’s haunted secrets first-hand. Miller had a few experiences of her own. She examined Condie’s cursed door in Carmichael and even heard ghostly toilet flushing in Hanson. City enacts new parking ordinance.